This friend told me some of his friends had been on it since last year. I had to explain to him the little I knew about Ponzi schemes and advised him to tread softly. So was I right or wrong in my assessment? Is MMM a scam or not? Months and more readings later I have arrived at a conclusion I will share in this post. According to the Wikipedia page, MMM was started by three Russians; Sergei Mavrodi, Vyacheslav Mavrodi and Olga Melnikova in 1989. The page then went on to list the Ponzi-like operations of MMM, how Sergei Mavrodi got jailed (and subsequently released) for fraud plus other MMM exploits. In 2011, Sergei launched MMM-2011 and expanded to more countries, chief examples of which were China, South Africa and recently, Nigeria. In the first two countries, the scheme was met with serious opposition. In South Africa, one bank froze investor bank accounts over red flags of fraud. The Chinese government warned her citizens of the illegality of MMM earlier this year. In Nigeria, the Security and Exchange Commission warned Nigerians to be wary of MMM, labelling it a Ponzi scheme. Warnings have generally been met with disapproval and refusal from MMM investors. John invests in a ‘venture’ that has guaranteed high returns. Peter and Paul invest later in the same venture. Monies from Peter and Paul are used to pay John when it is John’s time to cash out. Peter and Paul can only cash out their investments (plus profit) when others invest in the program. It is evident from the above that this type of system will collapse when new money stops coming in. This is why there are generous referral commissions to maintain continuous cash inflow. According to the website, MMM is a platform where its members can help each other with funds when they need it. Participants are promised a 30% return after a month when they ‘provide help’ to other members. In addition to this, the scheme also promises referral bonuses, sign up bonuses and returns of up to 50% when using bitcoins. There is no central bank account. Participants are not required to pool their money but to transfer it to one another when help is needed. Click on ‘provide help’ and send it to whoever needs it. Before then, James must have paid the money into his account. After the money has been sent, the receiver can go ahead to withdraw it. The money James sent as help will now be converted to Mavro (the currency of the system). This money will increase over the next thirty days to an accumulative 30%. At the end of this time frame, James can now request for help. Other members now send help to him, inclusive of the 30% accrued to James’ initial investment. Participants are only eligible to receive help after giving help. Is MMM a Ponzi scheme? It does share some similarities with a Ponzi scheme but it is not exactly one. A correct term for MMM is a pyramid scheme. In a pyramid scheme, investors bring in other investors who in turn bring in more investors and the loop goes on. Typically, referral and other bonuses are paid to members for bringing others to the system. A pyramid is slightly different from Multi-Level Marketing or MLM (like GNLD in Nigeria). Usually, In MLM, there is a something being sold such as beauty or pharmaceutical products. In MMM, there is no product on sale, just money exchanging hands. The MMM Nigeria website has a boldly written disclaimer on its warning page. Here, participants are told in very clear terms that there is the possibility of losing all their money. They are then encouraged to only use their spare money or not join at all. Below is the warning buried deep within the website. The system, also, puts certain checks in place to stop multiple registrations and dishonest users. Transactions are monitored to ensure authenticity through POP (proof of payment).This gives it a more credible look. While there are no central accounts, it is hard to tell if there are MMM agents having accounts in the system. These agents can decide to request help together and vanish. They created the system, they can manipulate it. In the case of China, the website just stopped working leaving investors unable to withdraw their money. The bitcoin system (which looks more enticing offering 50% ROI) can be exploited like in this example. Of course, there could be a number of other ways to beat the system, hypothetically. MMM operates on a model that is only sustainable with greater inflow than outflow of money. Once inflow is lower than outflow, issues are bound to arise. Also, since there are no products sold, it might be difficult sustaining the 30% ROI and numerous other rewards. Hence, there’s no denying the high probability of it going bust in the future. Be rest assured, if (or is it when?) it goes bust, there will be winners and losers. Regardless of that, a simple fact about MMM is: it is a pyramid scheme. So is MMM a scam? I’ll leave you to be the judge of that. What do you think of MMM? I’ll love to read your thoughts in the comments below. That was explicit enough. You should be a special adviser to one of our people in government. In MMM there will be loosers and there will be winners. Continuous cash inflow is necessary to maintain operability of this system. Once cash inflow is less than outflow, then problen starts. Also, the system can be shut down or manipulated. These are the points I’m taking home. I don’t believe in mmm. I believe in more stable businesses, though all businesses come with their risks. This is a very nice analysis. Nice one. Thanks so much for your feedback. I’m not so sure about the special adviser part though lol. MMM is here to stay,need I say it’s not for everyone?Every biz has got its risk,the only risk I see with MMM is YOU NOT TAKING THE CHANCE to join.Yes,there’s no central pool,that way nobody has a direct access to the participants money,you pay only when there’s a need. You stated in this piece that South Africa rejected MMM,that’s just a part of the story.You should read this piece as well http://join-mmmsouthafrica.co.za/south-african-government-admits-mmm-is-not-a-scam/…The system isn’t outrightly sustained by the continous cash inflow,there’s a whole lot you need to dig out.And thanks for putting this up here,its only help MMM grow abit more. You said there’s more to sustaining the system apart from cash inflow. Pls throw more light on this, if there’s more ways money come into MMM apart from sourcing for new guys. The only source of income is the new guys, unfortunately. No one invests the money in anything at all, so this will fail once the new guys stop. The problem with this system is that you don’t know how much the person before you is taking from your pocket, and you don’t know if the person behind you will put in enough to cover it. Or if there’s anyone behind you at all! Thank you for your comment. I can bet you N5,000 recharge card that if you search everywhere, you will find nothing else that sustains the system other than new mugus. If you find anything else that keeps the system going, I owe you a N5,000 recharge card. What puzzles me about this scheme;whether ponzi, pyramid or multilevel is the fact that no products are involved and the ROI is that much begs the question – what’s in it for the owners of MMM? What sustains it besides the funds of new investors? How would they continually meet up with 30% when it’s not spelt out what they do with the cashflow? That’s kinda shady and supports the tendency for fraud or sudden shut down. Exactly. If the owners invested in property or stocks, then it would be justified. I think the lack of any property here guarantees the fact that the scheme will fail when no new money comes in and it’s someone’s money thy would be used to fail. Good read. I also shared with colleagues at work. And to answer your question whether it’s a scam or not…I believe it is. I also believe nothing else sustain the system other than money of new investors since unlike MLM ,members are not mandated to sell products . This also explains why members are trying hard to convince folks to join …I got a call last week from someone I have spoken to in a long while just to tell me about it. My whatsapp is also a mess because of it. People say hello to you and the next thing is MMM . It beats me as to why even intelligents folks fall for this. Mmm is a scam because those involved do not have rest of mind. 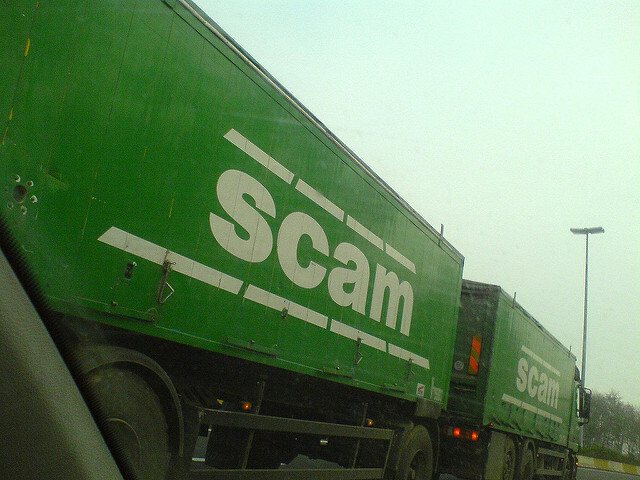 Any business that one can not be, at least, 80% sure of its success is a scam! Where does the bonuses come from? It is 100% sure that the money of the new applicants or participants is the one used to pay bonuses. And when nobody joins again, the system collapses. But what can we do now? When every Nigerian sits on gunpowder. Life is hard, unbearable, costly and unpredictable. May God bless Nigeria to a level of self-sustainance, so that Nigerians would not be looking for sustainance by all means! God bless you, is all I can say to this. Peter, John and James put N100 each into a box. Peter and John get N150 each, James gets nothing. Peter decides to put the N150 back into the box. If James gets anything, Peter must lose. If Peter doesn’t put any money in, James must lose. Someone must lose for someone to make a fantastic profit. Because these are NOT new funds. They are recycled funds changing hands. happy. able to find a good source kind contact Mr john on 08116241254 or email oliverjohn2017@gmail.com.